Gone are the days when customer care was a formality that entailed printing a phone number on the products of your company. At present, sky is the limit to the expectations of customers in terms of service. A modern customer looks for a service provider that adopts a holistic approach in the delivery of services. This is the reason delivering the right service to a customer at the time he needs it is more important than anything else. In addition, providing your customer with the service through a channel he prefers gives him an opportunity to appreciate your services. Undoubtedly, the competitive marketplace of today compels organizations to make sincere efforts in the direction of customer service. Enterprises are ready to do anything under the sun to enhance the experience of their customers. Despite the fact that companies try their level best to improve, they fail to manage the entire process of customer service. All this eventually gave way to call center outsourcing services that took over in-house customer support and thus led to the inception of an entire industry. Exceptional quality and considerable reduction in costs helped these services flourish. At present, the benefits of outsourcing are not restricted to profits via reduced expenditure. Rather, it is about expanding your capabilities beyond the boundaries that once limited your scope and progress. Since these things involve extensive networking, management efficiency lies at the core of such services. Irrespective of the fact that it is the launch of a new product line or revamping of existing services, outsourced call centers are always there to support you at the end of the day. An outsourcing partner is the only one who assures you that any call does not go unanswered. In addition, a third-party service provider is equipped with the right kind of infrastructure and resources that facilitate faster delivery of services.The biggest advantage of having somebody to shoulder your customer service burden is your enhanced ability. What more can you expect than a team of dedicated professionals who are ready to offer services to your customers at any time of the day? A number of developing countries across the Asian subcontinent are ready to grab business process outsourcing opportunities. However, India has distinguished itself from the rest. Not only has the country emerged as a preferred outsourcing hub for global business conglomerates, but has also established its image in the form of a trustworthy and dependable destination. 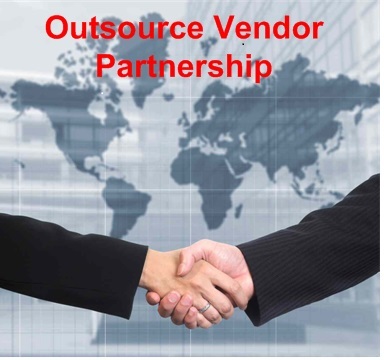 The outsourcing tide en route India has already engulfed a plethora of service providers across the world. In addition, many more companies are moving in that direction. Outsourcing call center to India allows you to take advantage of the services of companies whose forte lies in customer service. With a large English speaking population and state-of-the-art infrastructure, India ensures services of premium quality at a price that is much less than that charged by its counterparts. Besides all this, almost all Indian organizations have a proven track record when it comes to their experience in the contact center domain.